Feel the breeze in this sailing abstract. The horn is blown and their off ! 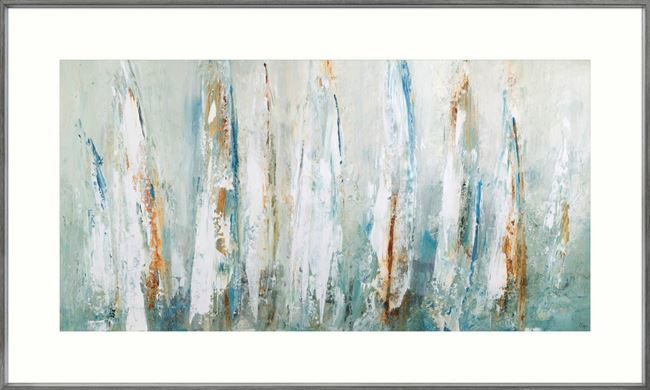 A fleet of sailboats speeds across the surface of this Lisa Ridgers artwork. Teal greens are set against sea foam blues, whites and sienna browns. Framed with white matt and driftwood gray profile with silver inner face.